At Baselworld 2016, Perrelet launched its very latest creation: LAB. The new model heralds a casual chic collection complementing the current collections. Building on its mastery of all phases involved in producing a watch in-house via its own Manufactures, ranging from the development and production of movement components to designing and crafting the cases, dials and finishing work. This timepiece remains true to the values and DNA of the brand with its signature “dial in motion”. While the many variations of the latter include the classic Double Rotor, the Turbine or the Amytis for women, Perrelet has opted for a discreet and refined version in the LAB line. The stainless steel 42 x 42 mm case is cushion-shaped with soft, rounded lines along with brushed and polished lugs. The case middle features a vertical decoration composed of tiny raised rectangles. 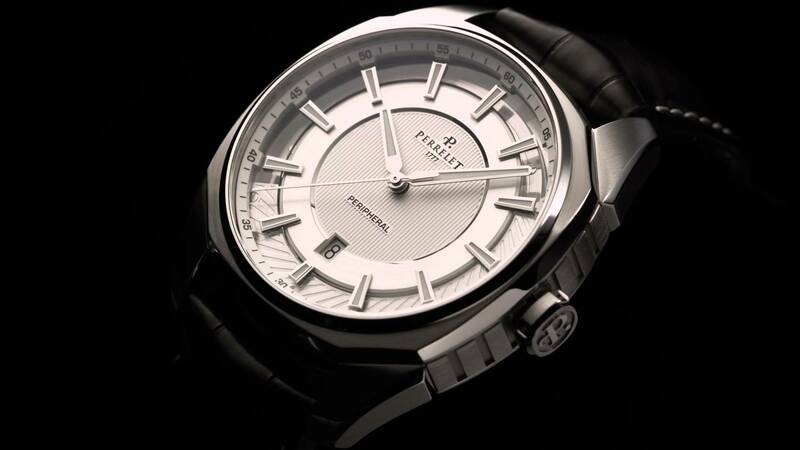 The polished octagonal bezel with its satin-brushed profile endows the model with considerable character. The case back fitted with a sapphire crystal is assembled with six screws, forming a sturdy and strong case guaranteed water-resistant to 5 bar. Particular attention has been devoted to the architecture of the dial boasting an original construction. A three-dimensional effect is achieved by the multi-level structure graced with a variety of finishes. 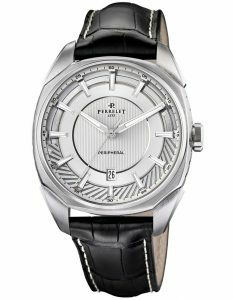 The dial available in silver-toned, anthracite or black versions features a central part adorned with vertical lines, while the rim is circular-brushed. The cut-out hour markers are enhanced with white Super-LumiNova and applied to a sapphire crystal ring. The decision to use a transparent element was specifically intended to enable the owner of the LAB watch to admire the most distinctive feature of this timepiece: its oscillating weight. While the latter is generally visible through the case back, the motion of the oscillating weight can also be observed while reading the time. This was made possible by the calibre P-411, a in-house movement. Displaying the hours, minutes and seconds by central hands and the date at 6 o’clock, the LAB has a 42-hour power reserve. The watch is fitted with a black alligator leather strap and a stainless steel clasp. This entry was posted in Uncategorized, womens watch and tagged Baselworld 2016, in-house movement, Leather Strap, Perrelet, sapphire crystal, stainless steel, wristwatch by admin. Bookmark the permalink.